NO MORE GUESSING which mattress is Perfect for you! The Only Personal Mattress Fitting System in Southern Utah. 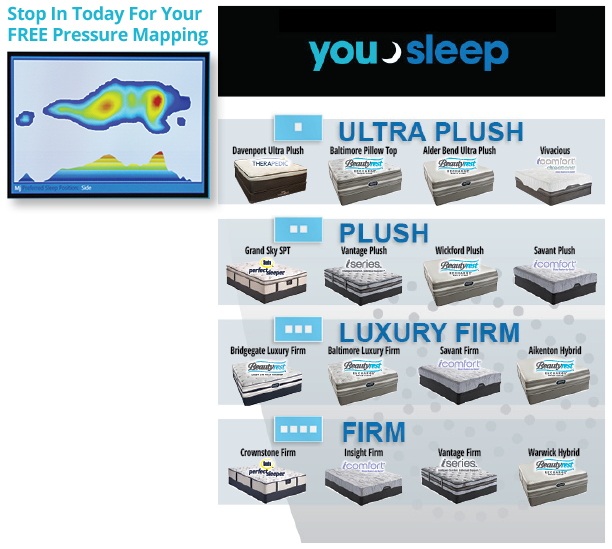 Using 1660 sensors to determine the best comfort and support for your Body and Sleep Style with Pressure Imaging.